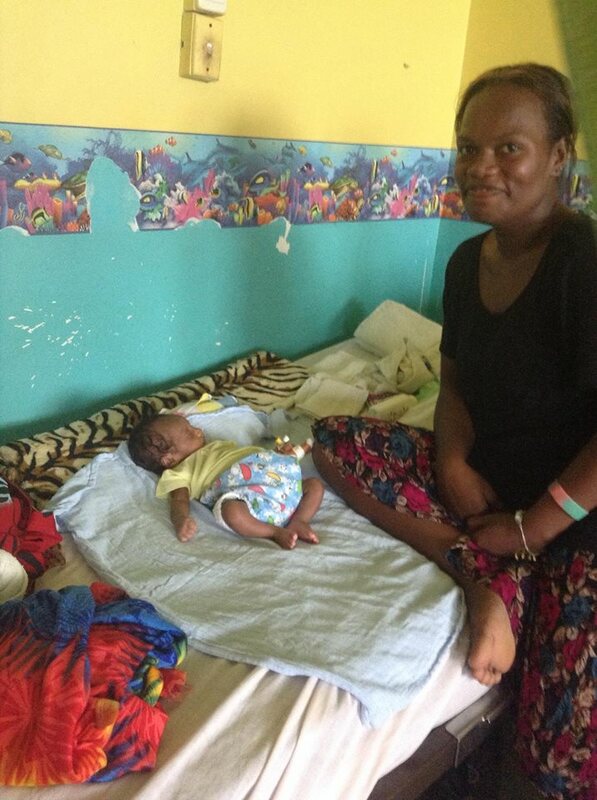 This is baby Cleo - he was born six weeks ago on the Island of Santos, Vanuatu. He has a bilateral cleft lip PLUS a cleft palate. This means he cant feed very well at all. His surgery is booked for April and his Mamma needs the airfare to Port Vila - can you help him?? Unfortunately, baby Cleo has hit a pretty bumpy patch - he is pretty sick with fever and is not thriving at all like Kiwi babies would be - he is so, so tiny - I am organising him to get to Port Vila immediately so he may get the support he needs. His Mamma is so strong! Well done Mamma - you are amazing! Thank you so much to the people who have donated some money so far for travelling down for his cleft ops but he has had to start using this money already to survive.